Single breasted men’s1920’s Gangster Waistcoat. 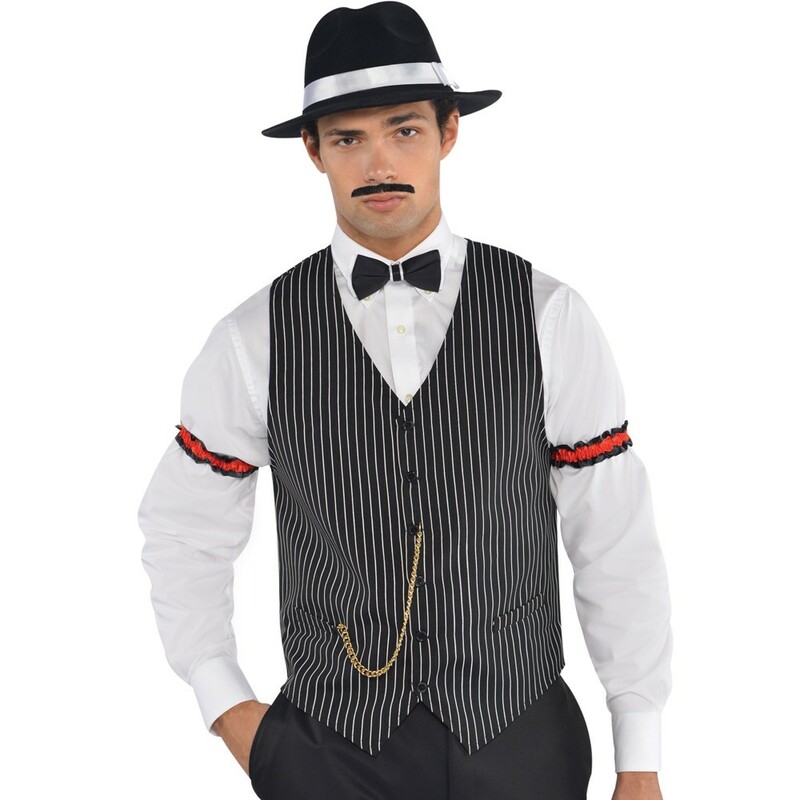 This Gangster Waistcoat is perfect for a 1920’s theme but, could also be used to accessorise a chauffeur or butler costume. A Black Pin Stripe Waistcoat.